Afternoon Map has always been alert to the danger posed by German militarism. We warned of it in one of our first posts, and continue to think tapping Angela Merkel's phone is an eminently sensible precaution. "Once a German, always a German," we like to say. 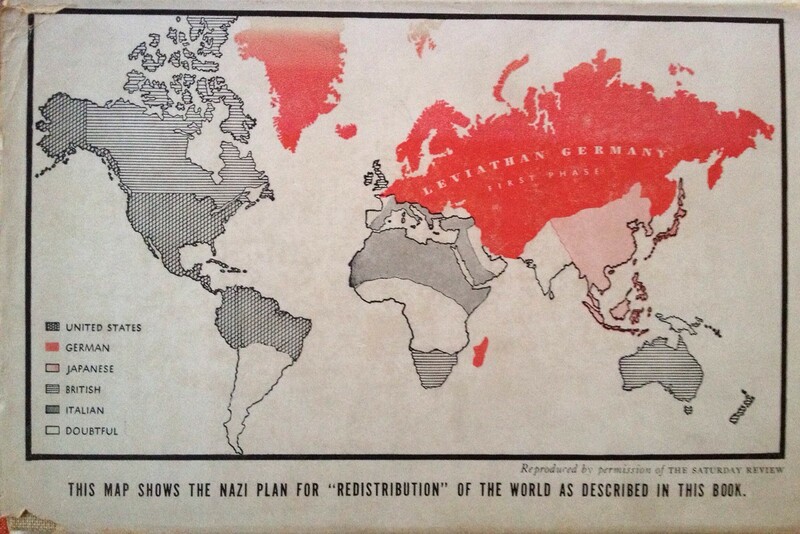 So we were delighted when Beth Mercurio sent us this map, which she found in her grandfather's copy of Hermann Rauschning's 1939 "The Revolution of Nihilism: Warning to the West." 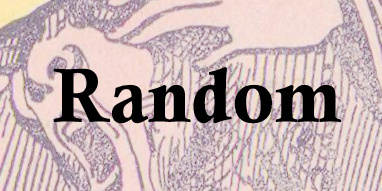 Beth explained: "I'd vaguely heard of [Rausching's] book "Conversations with Hitler" and how historians were concerned it was bogus, but I hadn't seen his writing anywhere else. [Based on some superficial research, which is all I have time for with the semester beginning, it seems like neo-Nazi historians definitely think Rausching's work is fake, but it's a little less clear what real historians think. If anyone knows more let us know - ed] This book was apparently the one before Conversations with Hitler, detailing the rise of Nazi ideology and the author's thoughts on how it would eventually implode (he was a former leader within the party and later broke away/left Germany in the late 1930s)." I don't have much more to add to add, except that more maps should include a "Doubtful" category. And while I think our collective interest in the way Mercator projections exaggerate the size of Greenland is a little silly, it certainly does make this map seem more ominous. The Italians, of course, are still scheming to get Turkey, while America doesn't make out that badly either. Finally, a few nice World War One posters to remind everyone just what the Germans are capable of. 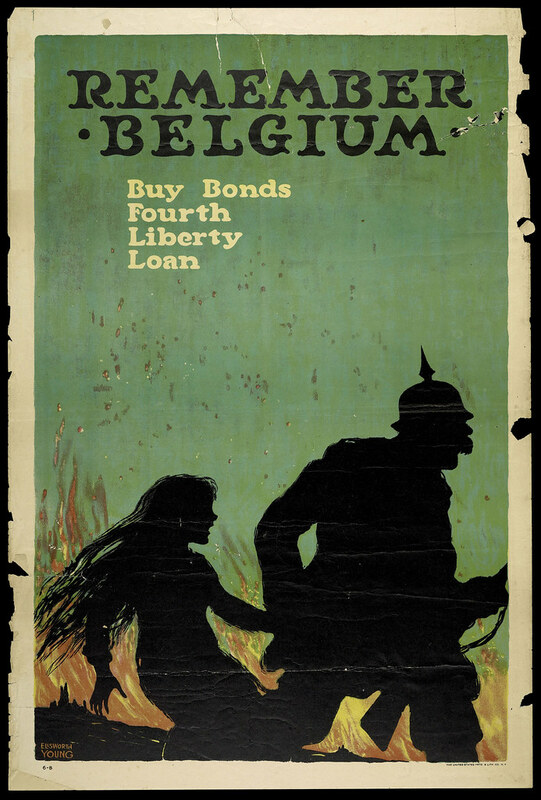 "Remember Belgium" might not be the catchiest propaganda slogan, but the picture is compelling. 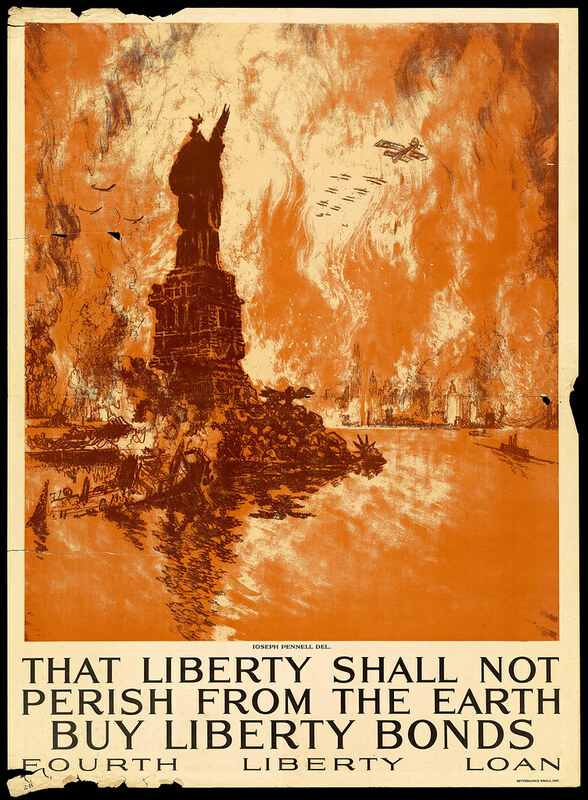 In all seriousness, though, while people often lament the fact that Americans weren't quick enough to believe reports of Nazi atrocities during World War Two or take action to in response to evidence of concentration camps, it's worth remembering that the American public had become cynical after all the exaggerated anti-German propaganda they had been subjected to during the previous war. It's like the famous story of the boy who cried German. Americans, having been repeatedly told that the WWI-era Germans were basically behaving like Nazis only to discover that maybe they hadn't been that much worse than the British and French, became overly skeptical and hesitant to believe it when, in the next war, the Germans actually were Nazis.